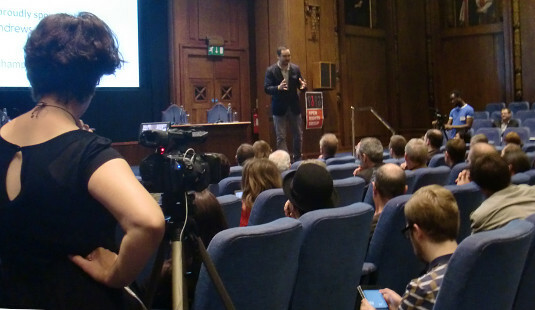 It was a fascinating and illuminating day at ORGcon 2013 on Saturday 8 June 2013. The speakers included Tim Wu (pictured above) and John Perry Barlow. The conference couldn’t have been better timed, with the news of PRISM leaking out the week beforehand.